GoPro has launched a wearable strap for its ubiquitous action camera that enables you to capture action shots like never before – by attaching it to your dog. Fetch enables you to capture incredible shots from your pooch's point of view, from stick fetching to duck chasing and everything inbetween. The strap comes with padding and is designed to fit dogs between 7kg and 54kg. The harness will support GoPro Hero cameras, and comes with a safety tether that safeguards against accidental detachment during rough and tumble. 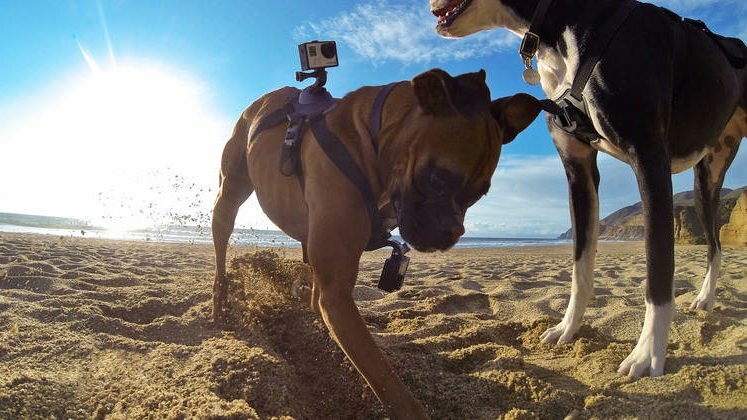 “The adaptability and versatility of GoPro cameras make them the perfect device to document life from a dog's point of view," said Paul Osborne, GoPro's senior director of product management. “We designed Fetch to meet the unique needs and usage for pets and can't wait to see the images and videos that owners will capture and share now that they have a mount specifically for their dog." Fetch is machine washable and costs £59.99. Why not read our review of the GoPro Hero 3+ from a human's perspective.